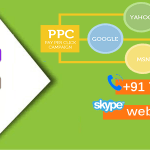 PPC Services in Chennai – Still in search of best PPC Services in Chennai. WebHopers is a team of PPC Experts in Chennai those can manage your pay per click advertising Campaign & generate business leads. PPC (Pay Per Click) ads are part of Search Engine Marketing Services such Google AdWords services etc. It’s a paid search that offers immediate results in the form of increased visitors to your website. We are Google AdWords specialist in Chennai. We can help you to grow your business online & generate more business leads for you. Pay Per Click advertising is used to visible your business website on top of your target keywords in Search Engines (like Google, Yahoo, Bing).We provide 100% result oriented PPC Services. Our PPC Management Services include the best Keyword research, PPC Campaign setup & manage based on low CPC ( Cost Per Click) & high CTR ( Click Through Rate), 10/10 quality score, attractive landing page. What is the PPC (Pay Per Click ) Services? PPC (Pay Per Click) ads is known as online marketing services that are used on search engines, advertising networks and websites where advertisers pay a specific amount to search engine for each time their ad is clicked. In this your website will display on top in first page of search engines (like Google, Yahoo, Bing) on your business keywords & you will have to pay for per click. It’s used to get business leads by PPC ads. How Pay Per Click Marketing is useful for your business? Generate Leads at Low Costs – PPC (Pay-Per-Click) marketing allows you to reach leads and prospects when they’re researching and looking to buy, it’s a highly effective way to bring interested visitors to your site. And, you can enjoy an algorithmically generated discount from the search engines in exchange for making their users happy. PPC Campaign Setup with minimum CPC & high 100% CTR (Click Through Rate). Time to Time campaign optimization & gain 10/10 quality score. As you setup the new pay per click Campaign then there is need to management regular to make them effective. In this we have to continuously analyzing the performance of your account then optimize the campaign time to time. There is requirement of following adjustment to optimize your account. Add New Business Keywords – To increase the approach of your PPC Ads we have to add the more new relevant keywords of your business. Add Negative keywords – We add the negative keywords to improve campaign relevancy and reduce wasted spend. Ad groups optimization – In order to increase the CTR ( Click Through Rate) & quality score we splitting up your ad groups into smaller, more relevant ad groups, which help you create more targeted ad text and landing pages. Review the Keywords – In this, review expensive, under-performing keywords and shut them off if necessary. Refine Landing Pages – Modify the content and calls-to-action (CTAs) of your landing pages to align with individual search queries in order to boost conversion rates. Don’t send all your traffic to the same page. Why Choose WebHopers for Best PPC Services in Chennai? WebHopers is digital marketing company that provides best PPC Services in Chennai. Our pay per click advertising Services is different than other companies. We follow search engines ( like Google, Yahoo, bing) polices & algorithm so that your ads display on top on your target keywords & get maximum business leads on low CPC ( Cost Per Click). We are best than others in the term of following features. Best keywords & Competition Research.